What does UGMA stand for? UGMA stands for "Uniform Gifts to Minors Act (largely replaced by UTMA)"
How to abbreviate "Uniform Gifts to Minors Act (largely replaced by UTMA)"? What is the meaning of UGMA abbreviation? 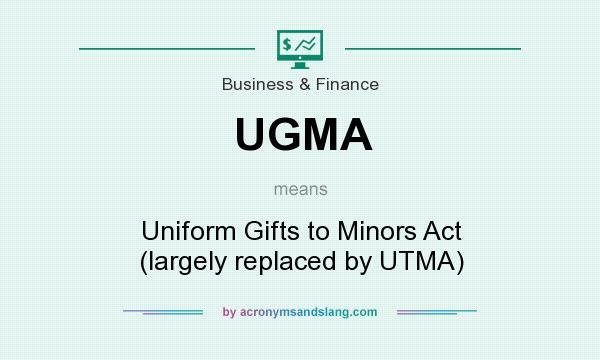 The meaning of UGMA abbreviation is "Uniform Gifts to Minors Act (largely replaced by UTMA)"
UGMA as abbreviation means "Uniform Gifts to Minors Act (largely replaced by UTMA)"